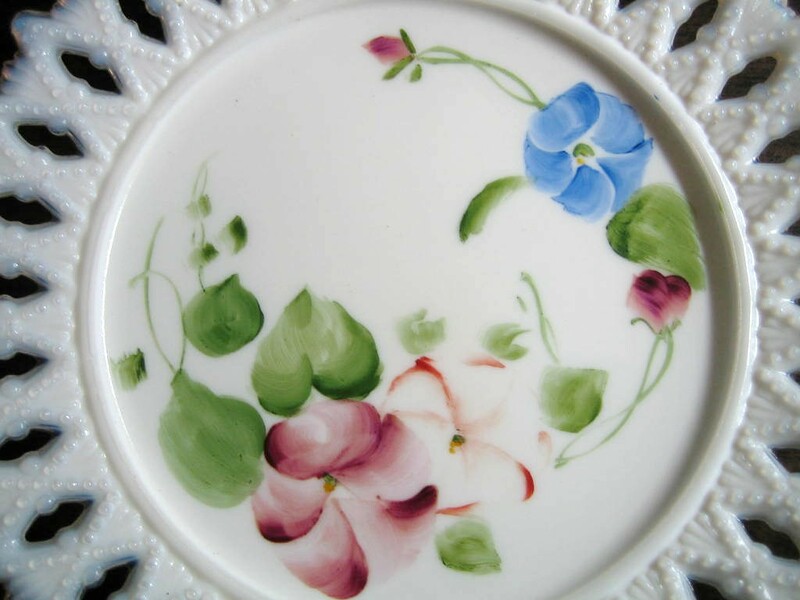 Click the button below to add the Antique Sweet Milk Glass Hand Painted Pansy Lace Edge Pierced Plate to your wish list. 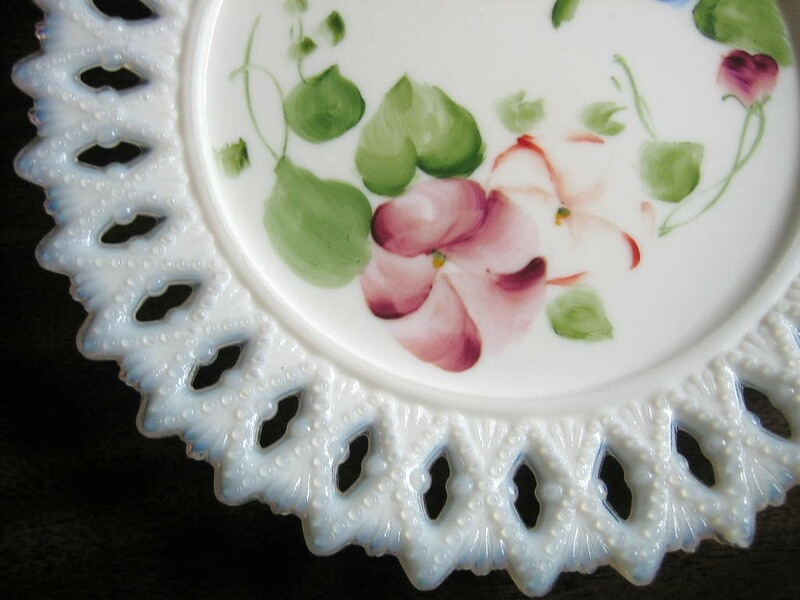 Lacey edged pierced milk glass plate. • Lacey Edge with holes so could be hung with a ribbon..
• White white plate with handpainted pansys and green leaves.